Earlier this week Westport Fuel (WPRT: Nasdaq) reported financial results for the quarter ending September 2018. Based on British Columbia, Westport is a developer and manufacturer of clean fuel systems for both fossil and renewable fuel sources. It has taken some years, but Westport management has worked hard and overcome a number of obstacles to bring a mix of engines and systems capable of handling various fuels such as natural gas, hydrogen and liquid petroleum gas. Revenue jumped to $65.5 million in the September 2018, quarter delivering $4.3 million in cash earnings. The company’s relationship with truck engine manufacturer Cummins (CMI: NYSE) is proving to be one of the most important top-line growth drivers. The Cummins Westport joint venture is finding good traction in the commercial transportation market with the Westport natural gas engines. The engines are being marketed as low-cost alternatives to achieve zero emission goals. It was the second consecutive quarter that Westport was able to bring in a profit, at least after adjusting for non-cash expenses. R&D expenses were $7.8 million in the recently reported quarter compared to $12.8 million in the same period a year ago. With the completion of the Westport HPDI 2.0 technology, management has eased off on research and development activity. Perhaps shrewdly on Westport’s part, the Westport HPDI 2.0 can be integrated into any engine on the market. This has made is possible for Westport to form an alliance with Weichai Power Company Ltd. (WEICF: OTC) in Shandong, China. 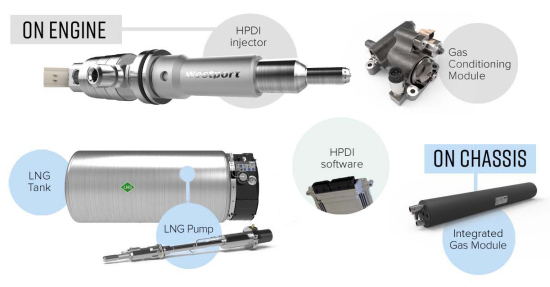 Weichai manufactures diesel engines and plans to use the Westport HPCI 2.0 technology to deliver natural gas engines that will satisfy China’s new emissions standards. The truck engines are expected to be on the market by the second half of 2019. Westport has committed to supplying HPCI 2.0 components for 18,000 units through 2023. Westport held $54.2 million in cash on its balance sheet at the end of September 2018. 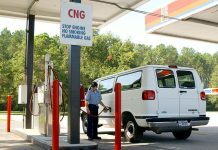 Cash has been fortified through the recent sale of Westport’s compressed natural gas compressor operations for $14.7 million. Working capital was $61.8 million, down from $80.9 million at the end of 2018. The shrinkage in working capital was largely the result of using cash to support operations. In the first nine months of 2018, Westport used $24.7 million in cash to keep the home fires burning. Despite the reduction in R&D spending, Westport is still out spending gross profits from the sale of its products and services. To make matters worse in the most recent nine months products costs have increased to 75.2% of sales compared to 73.1% in the first nine months of the previous year. It seems logical that with increases in production, Westport can get its cost situation under control. Investors did not applaud Westport’s third quarter financial report. The shares opened lower in the first day of trading following the announcement. We expect the shares to remain under pressure given that the Moving Average Convergence Divergence (MACD) line is now moving downward toward its signal line. The situation suggests supply outstrips demand at the present time and will need to resort to lower prices to achieve fulfillment. The price weakness could be a gift for those investors who see potential in Westport’s various strategic relationships. The company has valuable technology for the truck market, but lacks the experience or connections to reach the market on its own. Investors might not be satisfied with Westport’s profit margins and continued cash burn. However, the situation could be materially worse if Westport was striking out on its own. With a building order pipeline, it would seem that Westport may have a chance to achieve more efficiency. Previous articleDoes The Beyond Meat IPO Spell The End Of The Cow?